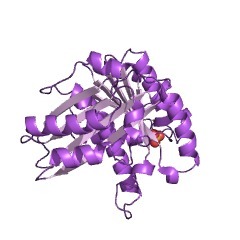 The domain within your query sequence starts at position 55 and ends at position 277; the E-value for the Tubulin domain shown below is 1.08e-38. 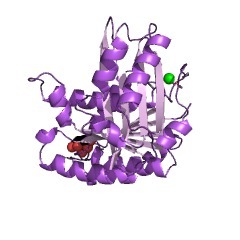 This domain is found in all tubulin chains, as well as the bacterial FtsZ family of proteins. 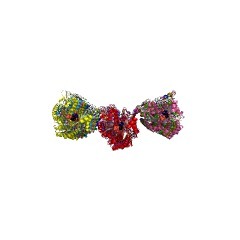 These proteins are involved in polymer formation. 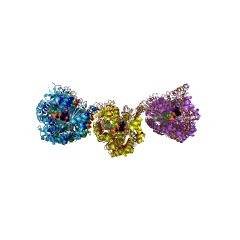 Tubulin is the major component of microtubules, while FtsZ is the polymer-forming protein of bacterial cell division, it is part of a ring in the middle of the dividing cell that is required for constriction of cell membrane and cell envelope to yield two daughter cells. 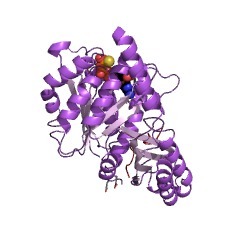 FtsZ and tubulin are GTPases, this entry is the GTPase domain. 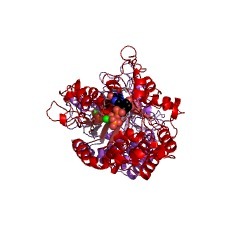 FtsZ can polymerise into tubes, sheets, and rings in vitro and is ubiquitous in bacteria and archaea. 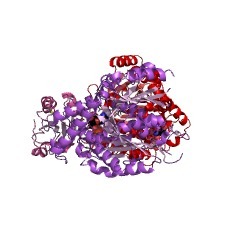 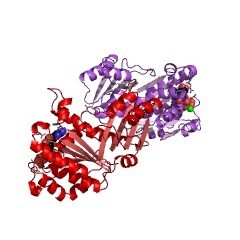 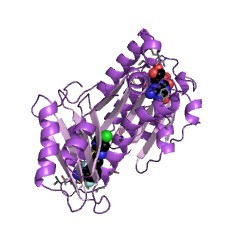 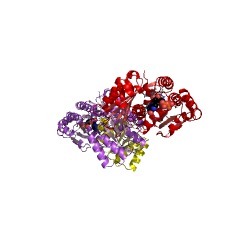 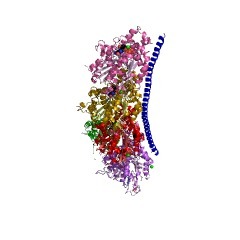 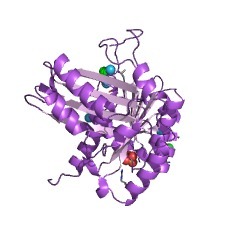 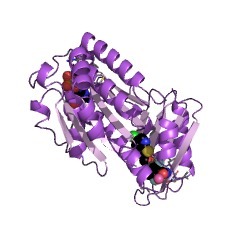 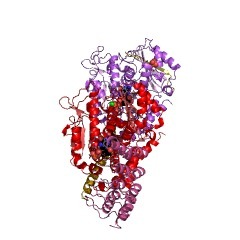 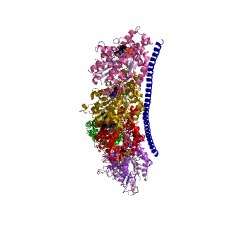 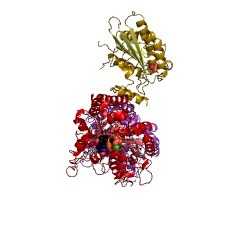 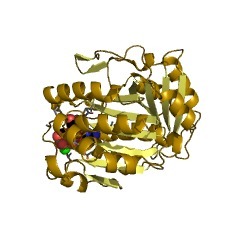 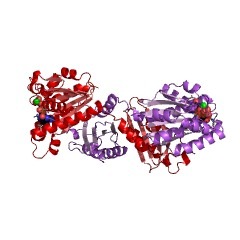 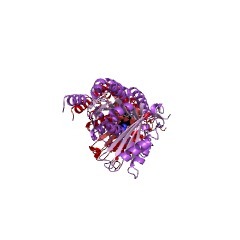 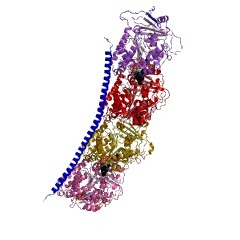 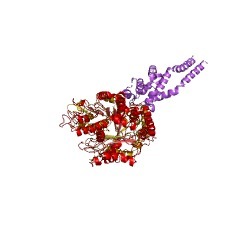 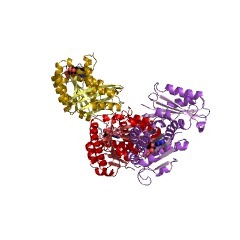 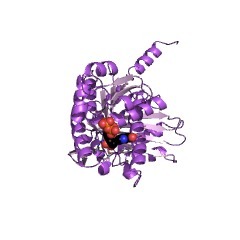 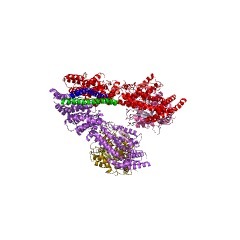 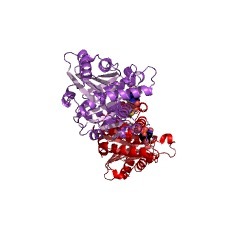 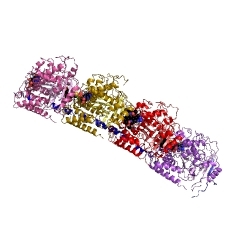 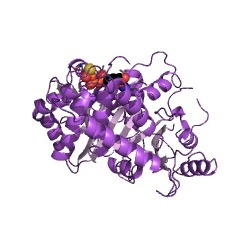 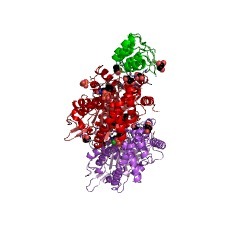 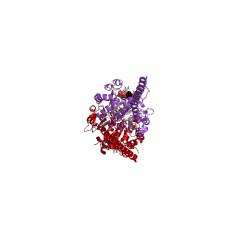 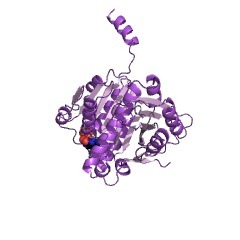 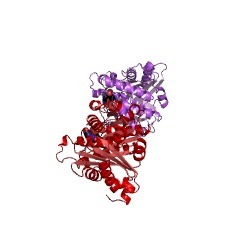 This entry represents a GTPase domain found in all tubulin chains, such as tubulin alpha, beta and gamma chains, and some bacterial FtsZ proteins [(PUBMED:9628483)]. These proteins are involved in polymer formation. 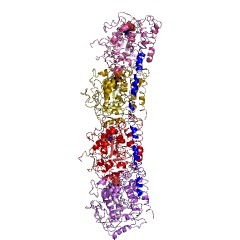 Tubulin is the major component of microtubules, while FtsZ is the polymer-forming protein of bacterial cell division, it is part of a ring in the middle of the dividing cell that is required for constriction of cell membrane and cell envelope to yield two daughter cells [(PUBMED:9144213), (PUBMED:9428770)]. 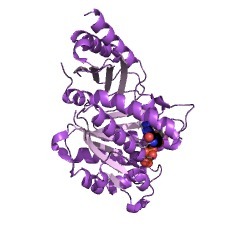 FtsZ and tubulin are GTPases, this entry is the GTPase domain. 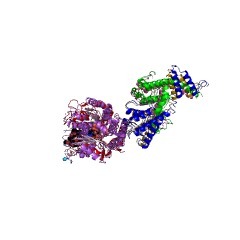 FtsZ can polymerise into tubes, sheets, and rings invitro and isubiquitous in bacteria and archaea. 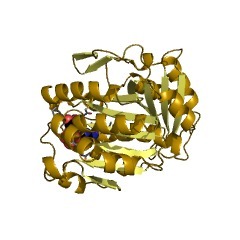 There are 39333 Tubulin domains in 39264 proteins in SMART's nrdb database. 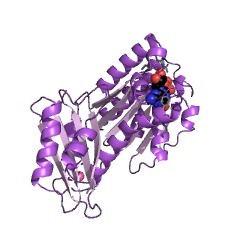 Taxonomic distribution of proteins containing Tubulin domain. This tree includes only several representative species. 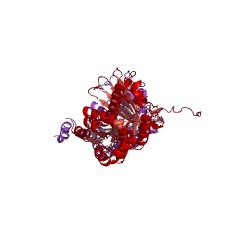 The complete taxonomic breakdown of all proteins with Tubulin domain is also avaliable. Click on the protein counts, or double click on taxonomic names to display all proteins containing Tubulin domain in the selected taxonomic class. 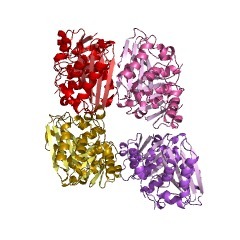 Bacterial cell division ends with septation, the constriction of the cellwall and cell membranes that leads to the formation of two daughter cells.During septation, FtsZ, a protein of relative molecular mass 40,000 whichis ubiquitous in eubacteria and is also found in archaea and chloroplasts,localizes early at the division site to form a ring-shaped septum. 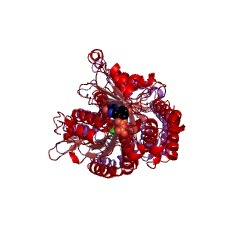 Thisseptum is required for the mechanochemical process of membraneconstriction. FtsZ is a GTPase with weak sequence homology to tubulins.The nature of FtsZ polymers in vivo is unknown, but FtsZ can form tubules,sheets and minirings in vitro. 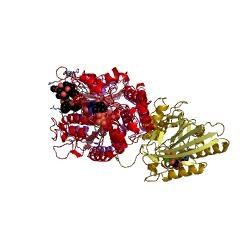 Here we report the crystal structure at 2.8A resolution of recombinant FtsZ from the hyperthermophilic methanogenMethanococcus jannaschii. 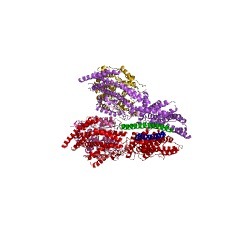 FtsZ has two domains, one of which is a GTPasedomain with a fold related to one found in the proteins p21ras andelongation factor EF-Tu. 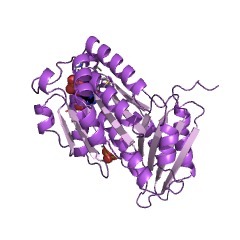 The carboxy-terminal domain, whose function isunknown, is a four-stranded beta-sheet tilted by 90 degrees against thebeta-sheet of the GTPase domain. 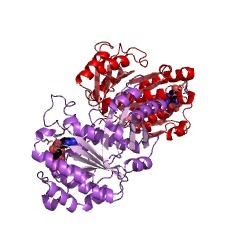 The two domains are arranged around acentral helix. 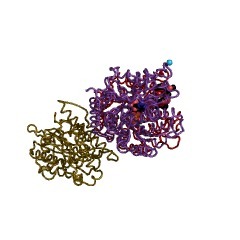 GDP binding is different from that typically found inGTPases and involves four phosphate-binding loops and a sugar-binding loopin the first domain, with guanine being recognized by residues in thecentral connecting helix. 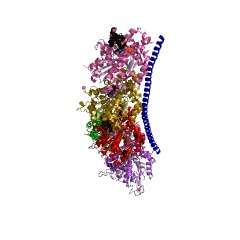 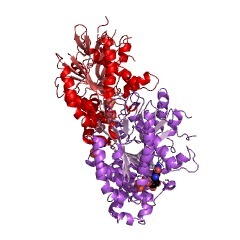 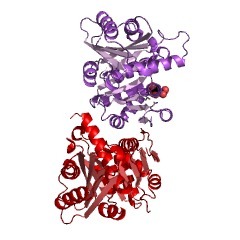 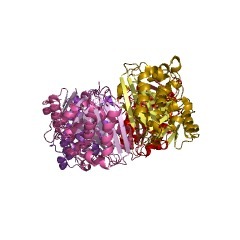 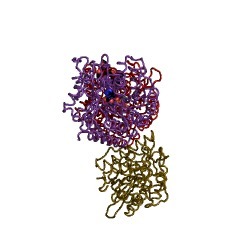 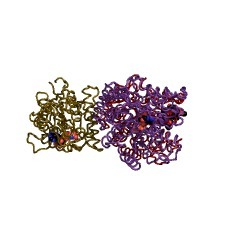 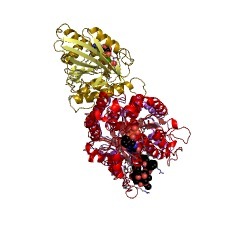 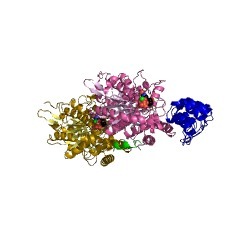 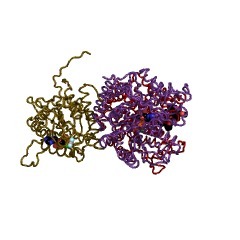 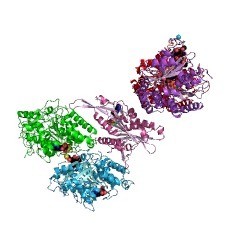 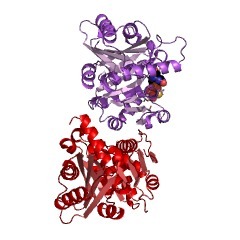 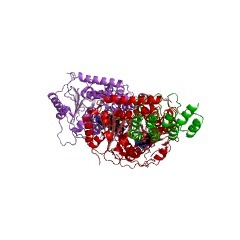 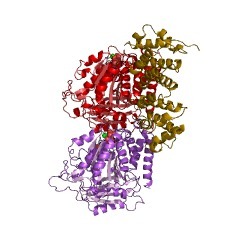 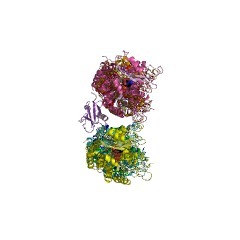 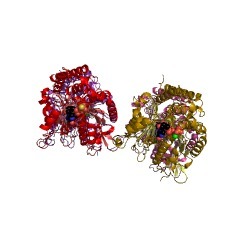 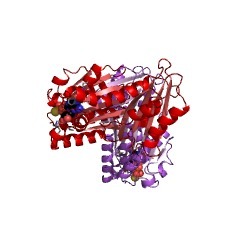 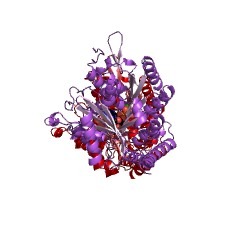 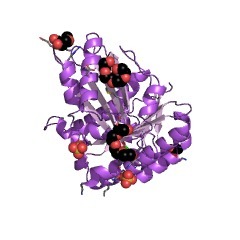 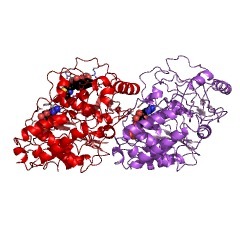 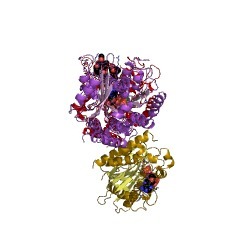 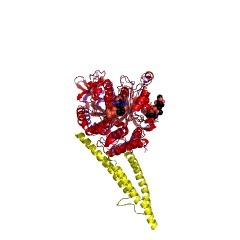 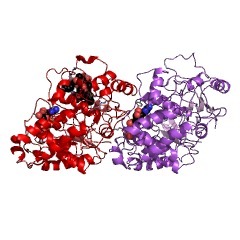 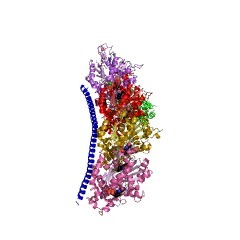 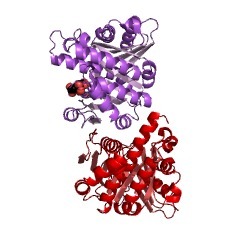 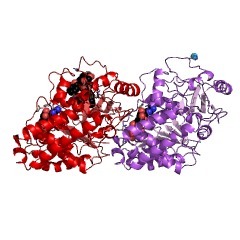 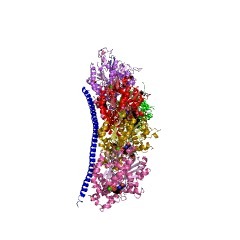 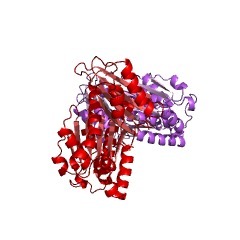 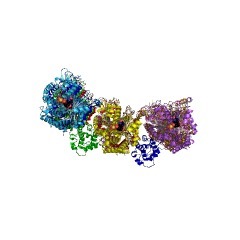 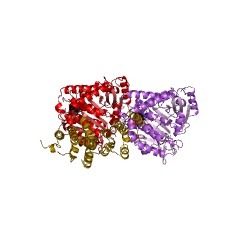 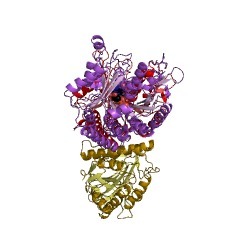 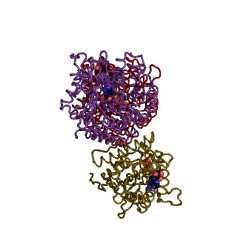 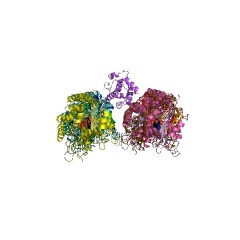 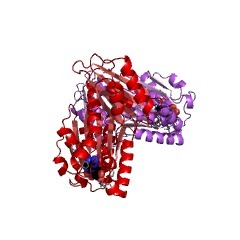 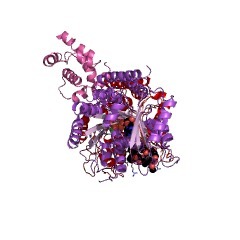 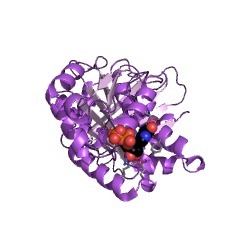 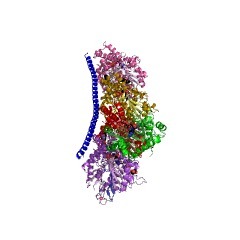 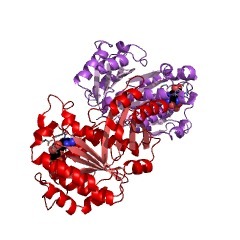 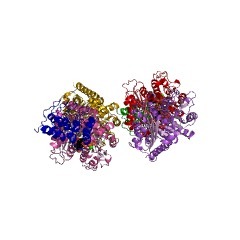 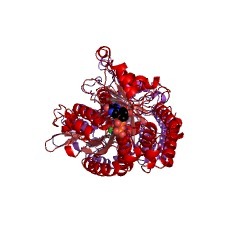 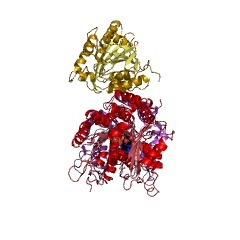 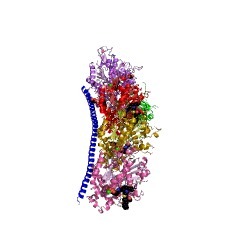 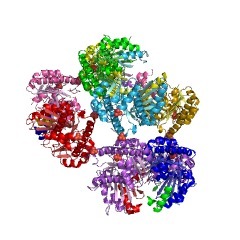 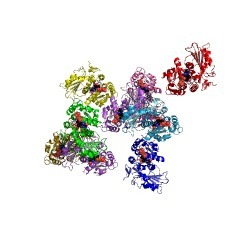 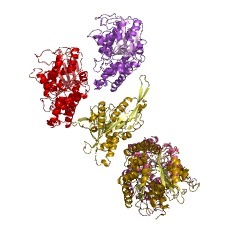 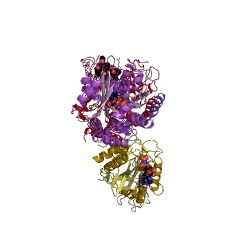 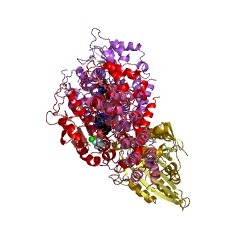 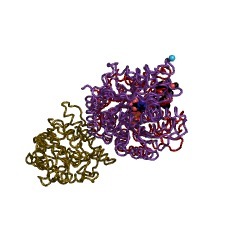 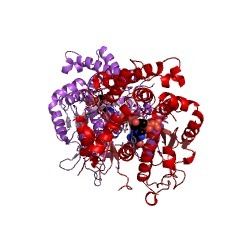 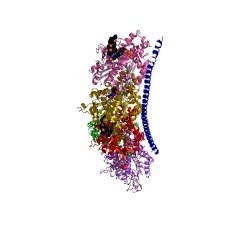 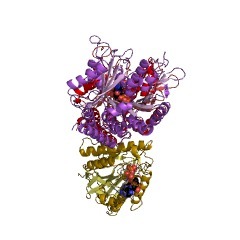 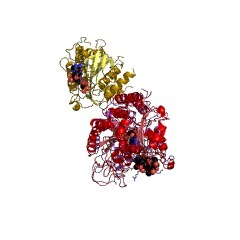 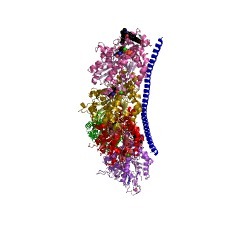 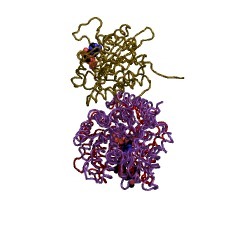 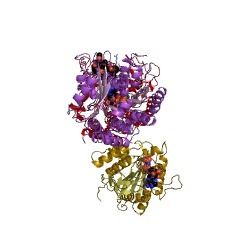 The three-dimensional structure of FtsZ issimilar to the structure of alpha- and beta-tubulin. 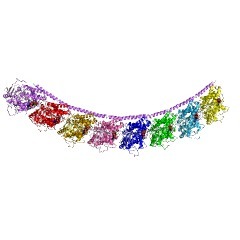 The alphabeta tubulin heterodimer is the structural subunit ofmicrotubules, which are cytoskeletal elements that are essential forintracellular transport and cell division in all eukaryotes. 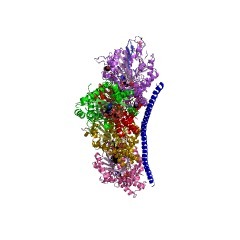 Each tubulinmonomer binds a guanine nucleotide, which is nonexchangeable when it isbound in the alpha subunit, or N site, and exchangeable when bound in thebeta subunit, or E site. 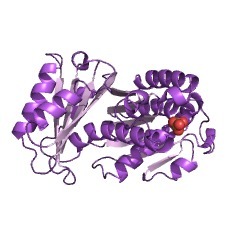 The alpha- and beta-tubulins share 40% amino-acidsequence identity, both exist in several isotype forms, and both undergo avariety of posttranslational modifications. 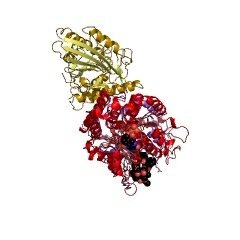 Limited sequence homology hasbeen found with the proteins FtsZ and Misato, which are involved in celldivision in bacteria and Drosophila, respectively. 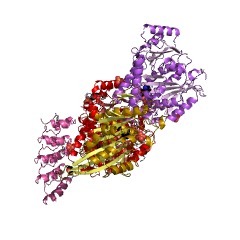 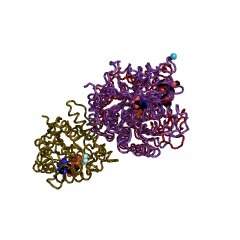 Here we present anatomic model of the alphabeta tubulin dimer fitted to a 3.7-A density mapobtained by electron crystallography of zinc-induced tubulin sheets. 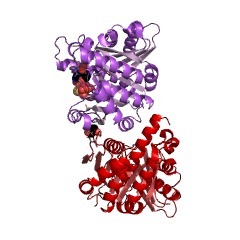 Thestructures of alpha- and beta-tubulin are basically identical: eachmonomer is formed by a core of two beta-sheets surrounded byalpha-helices. The monomer structure is very compact, but can be dividedinto three functional domains: the amino-terminal domain containing thenucleotide-binding region, an intermediate domain containing theTaxol-binding site, and the carboxy-terminal domain, which probablyconstitutes the binding surface for motor proteins. 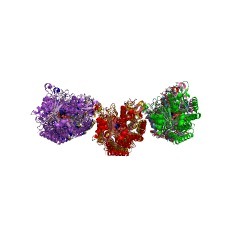 2q1x Crystal Structure of cell division protein FtsZ from Mycobacterium tuberculosis in complex with citrate.